Exclusive personal retreats designed just for you providing the opportunity to reflect on aspects of your life that are weighing you down by causing you stress, tension or anxiety. An exclusively designed retreat offers you the opportunity to get away from the demands of your everyday life and to focus on yourself for a change. In a supportive and nurturing environment you can allow yourself to get in touch with your innermost thoughts, vulnerabilities and emotions without having to worry about someone walking in on you, thinking about the shopping, the children or work demands. Wihout distractions you can unwind, re-connect with your mind and body, relax and tap in to your creativity. Day 1: Arrival, settle in. Session depending time of arrival. During your stay you will be working at a deep level and making sigificant shifts through emotional releasing via solution focused methods such as meditation, life coaching, NLP (neuro linguistic programming) and a very powerful transforming forgiveness process. You also have the option of choosing Angelic Reiki healing, Indian Head Massage or Yin Yoga to replace a coaching session if you wish. 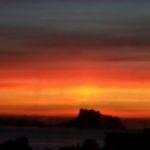 You will have time to reflect, journal, walk in nature, swim in the sea or pool, sleep, rest, relax and take in the sights of Albir and surrounding area. 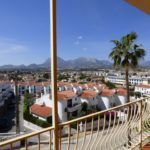 In Albir, situated on the Costa Blanca, Spain. Alicante airport, shuttle from airport to Albir about 45 mins to one hour. 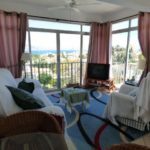 In a self catering one bedroom apartment with swimming pool, air con, WiFi and breathtaking views of the Mediterranean sea and mountains. Everything is within very short walking distances. 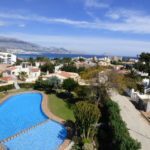 Albir beach and beautiful, scenic mountain walk are both 10 minutes from the apartment. Supermarkets, restaurants and cafe’s are just 5 minutes. You can watch magnificent sunrises from your lounge. 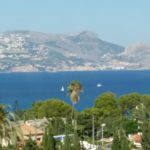 The old fishing town of Altea is about a half an hour walk along the beach. Please email me via the contact page with any questions and your date choice. I will get back to you to arrange a time for your free consultation to ensure a one-to-one private retreat is going to serve you in the way you need. Of course, if you feel a retreat is not suitable for you right now, I can still help you through coaching sessions. Contact me to discuss more.